In their noteworthy 2017 editorial, “Anesthesiology and New Models of Perioperative Care: What Will Help Move the Needle?”, Aman Mahajan, MD, PhD, and Maxime Cannesson, MD, PhD (respectively, our department’s Chair and our Vice Chair for Perioperative Medicine), observed that the need to develop new models of perioperative care becomes more urgent as our healthcare system moves toward value-based payment while facing longer delays in payment delivery. Mr. Quach creates code in Excel, Sql and Tableau to aggregate elements gathered from our data platforms such as the Perioperative Data Warehouse (PDW). Once an operations question or concern arises, he creates models to contextualize the relevant data and make them easier to digest. He then presents the results to the leadership team along with potential solutions. 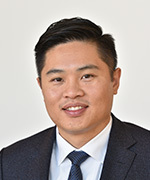 “My professors suggested that those of us interested in analytics should focus on health care, health insurance, or startups — areas with changing landscapes and an endless supply of interesting problems to solve,” says Mr. Quach, who received his MBA from USC’s Marshall School of Business. While finishing up at USC, Mr. Quach worked as an internal operations consultant at Beachbody, a multinational company that specializes in health and fitness resources. He enjoyed the fast pace and opportunities inherent in helping the company move beyond its startup stage, but was eager to use his skills to make a deeper impact on community well-being. His UCLA career began in 2015 when he started work as a business intelligence analyst for Operative Services, and he moved to his current position in September 2017. His overall mission is to improve what already exists and to develop additional robust analytics platforms. He appreciates the stimulation of working within a leading academic institution, enjoying the challenge of working with “brilliant” colleagues and seeing how fast they pick up ideas outside their areas of expertise.